﻿ BSM franchisee Driving Lessons in Harrow, Driving Instructor (HA0 - HA9) 2 hours = £30*. Call 07782 374351 To Book. You are at the right place if you need: Cheap Car Driving Lessons in HA0 to HA9. Our Driving Instructors provide Automatic Driving Lessons in Harrow, Pinner, Ruislip, Northwood, Stanmore, Wembley, Edgeware and surrounding areas. Our Driving School in London offers Driving Intensive Courses or Crash Courses, Advanced Driving Courses like Pass Plus and Cheap Car Lessons. We also offer DSA Driving Theory, Hazard Perception and DSA Driving Test Preparation. Our Advisors can get you early Driving Theory and Practical Test Bookings and last minute Cancellations. Currently we are only teaching automatic lessons & all lessons will be in brand new BSM logo Peugeot 308s. Lessons are pay as you go with no admin or up front payment required. Your progress is tracked each lesson, so you can see when you’re ready for your test. Our Instructors offer the Pass Plus course, which will develop your driving skills after you pass. All driving lessons are two hours with 48 hours BSM cancellation policy. 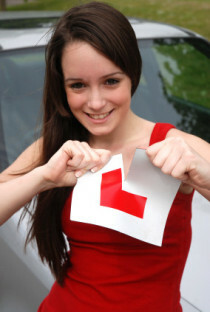 Remember you are at the right place if you need: Cheap Car Driving Lessons in HA0 to HA9, Automatic Driving Lessons mainly teaching in Harrow, Pinner, Ruislip, Northwood, Stanmore, Wembley, Edgeware and surrounding areas. Our Driving School in London also offers Automatic Driving Lessons, Automatic Driving Intensive Courses, Advanced Driving Courses, Cheap Car Lessons, Driving Crash Courses and Pass Plus Courses. Automatic Driving Instructors are Available. We also offer DSA Driving Theory, Hazard Perception and Driving Test Preparation. Our Advisors can get you early DSA Driving Theory and Practical Test Bookings and last minute Cancellations. Our BSM franchisee Instructor will provide Automatic BSM Driving Lessons, Automatic BSM Intensive Courses and Automatic BSM Crash Courses with BSM Driving School in a New BSM logo vehicles. * Discounted price is for the first two hours for new learner customers with no driving experience after which the standard lesson pricing applies. ** Subject to availability, terms and conditions apply. * Our pass rate is at least 40% higher than the national average. * We have been awarded, BSM regional winner (Region 6 - London and South West England) for the highest pass rate in 2004. * BSM Mock Driving Test Examiner (Trained by BSM/DSA). * Awarded ‘Customer Care Certificate of Excellence’ in Nov 2008. * BSM franchisee DSA fully qualified Grade 5 Instructors who specialises in first time passes (see Testimonials). Contact Us on 07782 374351 or Please enter your contact name, phone number and time below and one of our advisors will call you back. 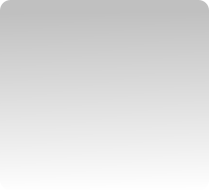 ‘refresh’ button if having problems with submitting form.